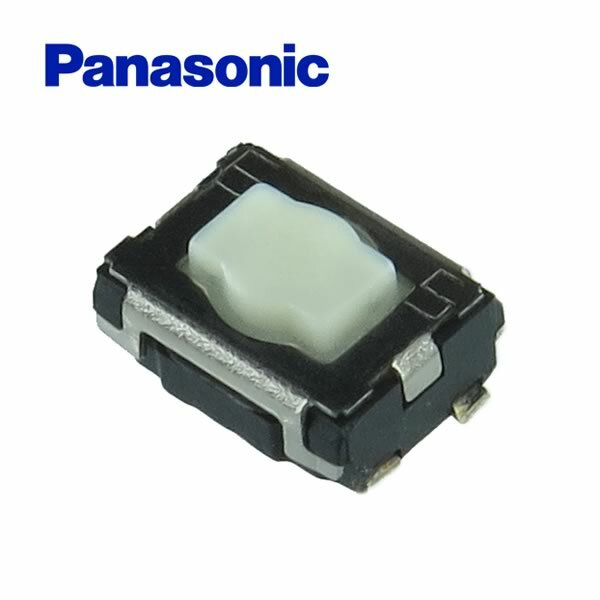 Panasonic 4.7mm x 3.5mm x 2.1mm SMD push button switch. Push plate is white and has a nice tactile feel. Operating force is 2.4N. Features 4 J-bent terminals for surface mount PCB mounting. On tape and reel. Retails for $29.90 for 50.